A project to prevent milk theft form communal kitchens and work place shared fridges. 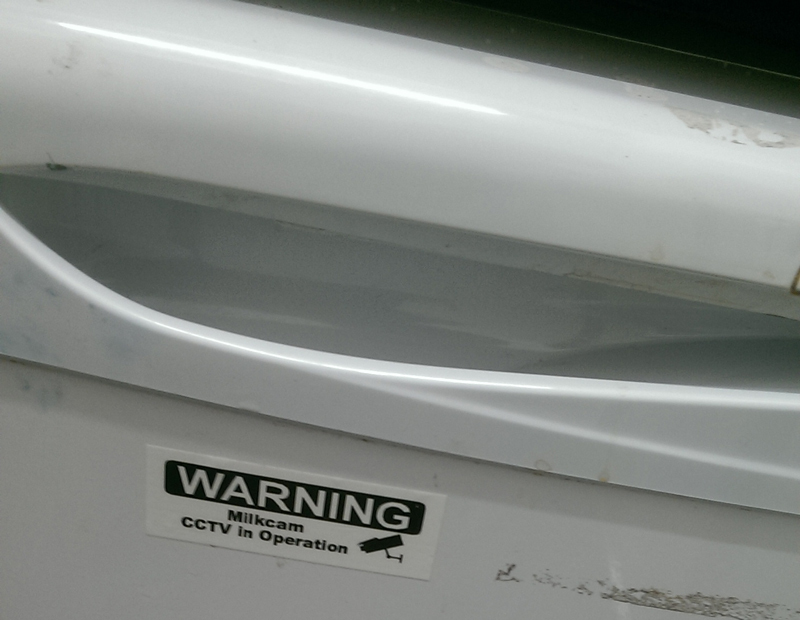 A security sticker "Warning MilkCam CCTV in Operation" and currently a fake WiFi enabled camera embedded in the top of a milk Carton. 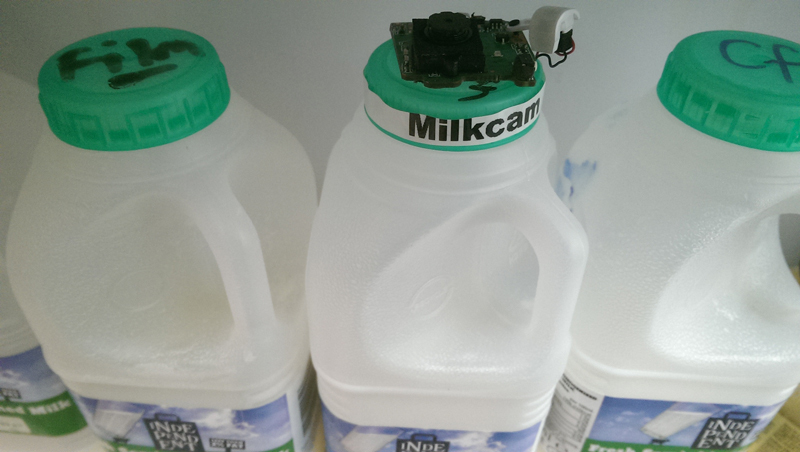 The Beta version of Milk Cam in situ in work fridge. This is the Beta Version of the MilkCam manufactured from parts from a broken flip cam. The circuit board containing the original camera component was cut to size with a hack saw and attached to a milk bottle top with gaffer tape. The MilkCam logo was printed on a Brother label printer. In its first few days of operation milk theft was was reduced to zero. The Effectiveness of the MilkCan was reinforced with the following Warning Label. Warning, Milkcam CCTV in operation. Sticker on work fridge. If you want to join in the fight to prevent milk theft please use the contact page on this website to apply for Free stickers.